The planner [R.N. Kao] and the implementer [Sankaran Nair] together built up a great organisation in no time, overcoming apparently insurmountable difficulties. By the time I joined the organisation in 1976, it was deemed to be an honour to become a “Kao-boy”. I joined the Indian Police Service in 1968. Unbeknown to us probationers, the Research and Analysis Wing was also formed the same year. Much later, possibly in early 1971, as an assistant superintendent of police in Palghat, I went to call on Kinattinkara Sankaran Nair, one of the two founding fathers of the new organisation. He was in town to visit his cousin, Babu Ramakrishnan. It was then that I was told that external intelligence was no longer part of the remit of the Intelligence Bureau. In 1976, I was called up to join the Cabinet Secretariat, a euphemism for the new external intelligence agency. I served the agency for 23 years, superannuating as its chief in January 2007. Working in the R&AW was an exhilarating experience. Ramji Kao was the officer handpicked by Indira Gandhi to set up the new organisation. He, in turn, chose Nair to be his deputy. The reasons for separating external and internal intelligence by creating a new agency are obscure. Kao, who would have been the right person to comment on it, has not left any papers which are traceable. 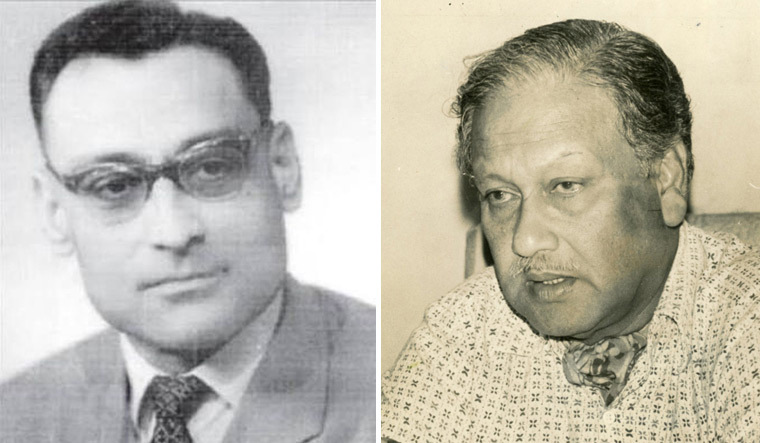 Nair, in his memoirs The Rolling Stone that Gathered Moss, suggests that the defence ministry’s complaints about the inadequacy of intelligence provided in the 1965 war might have been the reason. In any case, the practice in most western democracies was to separate internal and external intelligence. By the time the next war with Pakistan broke out, the new organisation had hit the ground running. Kao and Nair were two personalities totally different from each other. However, they got along splendidly and complemented each other. Kao was suave, perfectly turned out, highly religious, soft-spoken, a teetotaller and an introvert. Nair was tough and rough, and did not mince words. Though he had a great sense of humour, he did put the fear of God into his subordinates. The planner and the implementer together built up a great organisation in no time, overcoming apparently insurmountable difficulties. By the time I joined the organisation in 1976, it was deemed to be an honour to become a “Kao-boy”. I remember reporting to Kao in Room 115 of South Block. It was September, and Kao was in his white cottons. He scrutinised me from head to toe through his black-rimmed glasses and it was only thereafter that I was offered a seat. Nair walked in and told Kao about my background and my most recent posting as commissioner of police in Thiruvananthapuram. To my utter surprise Kao said he was aware of the good work I had done in Thiruvananthapuram. Later, a Keralite who was on Kao’s personal staff told me that he had been asked to preserve a paper clipping on me that had appeared in a national newspaper sometime earlier. The news item was about a direction I had given as commissioner of police that at least one medical shop should be kept open every night to ensure round-the-clock availability of medicines. It seems Kao’s mother died because a medicine which she required urgently was not available at night. I, along with a few other newcomers, had to undergo an orientation course lasting a few weeks before we were inducted into the organisation. On the day we completed our training, Nair came to address us. He asked us if we had assimilated all the dirty tricks we had been taught. We said yes. Then he told us, with the gravitas that he summoned whenever needed: “You shall never use these tricks in pursuance of your personal needs. These are meant solely to be employed in the service of the nation.” Operationally, there was no one to match Nair in the organisation. He commanded much respect internationally, too, in the shadowy world of spooks. An intelligence organisation’s importance varies with the degree of proximity that its chief enjoys with the prime minister. Kao was very close to Indira Gandhi, but Nair had to leave because he did not get along with her successor. There have been times since then when the relationship was close, and times when it was not so close. The national security architecture has undergone significant changes since the times of Kao and Nair. The revamp which took place after Kargil resulted in some of the responsibilities of the R&AW being taken away and given to newly created organisations. There have been personnel problems and issues of falling morale. The debate still continues as to whether there should be an exclusive method of recruitment into the R&AW, since it needs people with different capabilities than those required by ordinary civil servants. The focus of intelligence agencies is no longer merely on the military capabilities of perceived enemy nations. Terrorism per se has emerged as the biggest threat. New tactics need to be developed. New capabilities, too. Coordination has now been identified as the greatest need and challenge, especially in the fight against terrorism. There have been high moments and low, but there has never been a dull moment in the years that I spent in the R&AW. As a former chief, I would like the organisation that I once headed to be the best and the biggest. But the reality is that in the evolving national security architecture, with its emphasis on coordination, the R&AW is but a cog, though a very important cog. The quest, in this time and age, needs to be for excellence and not necessarily for primacy. 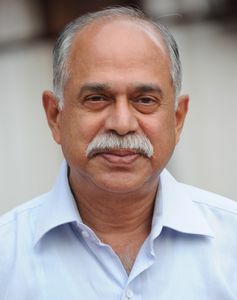 Tharakan is a former R&AW chief.